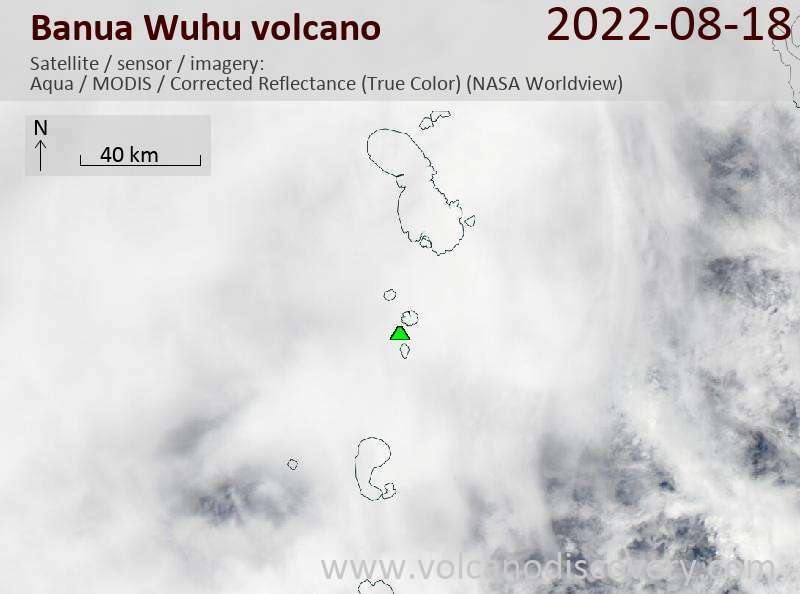 Banua Wuhu is a submarine volcano in the Sangihe Islands, Indonesia, 45 km south of Awu. The volcano rises more than 400 m from the sea floor and almost reaches the surface, forming a shallow shoal at 5 m depth. Banua Wuhu, during some of its eruptions, has created temporary islands, which were eroded subsequently by wave action. Adjacent Mahengetang island belongs to the same volcanic edifice. 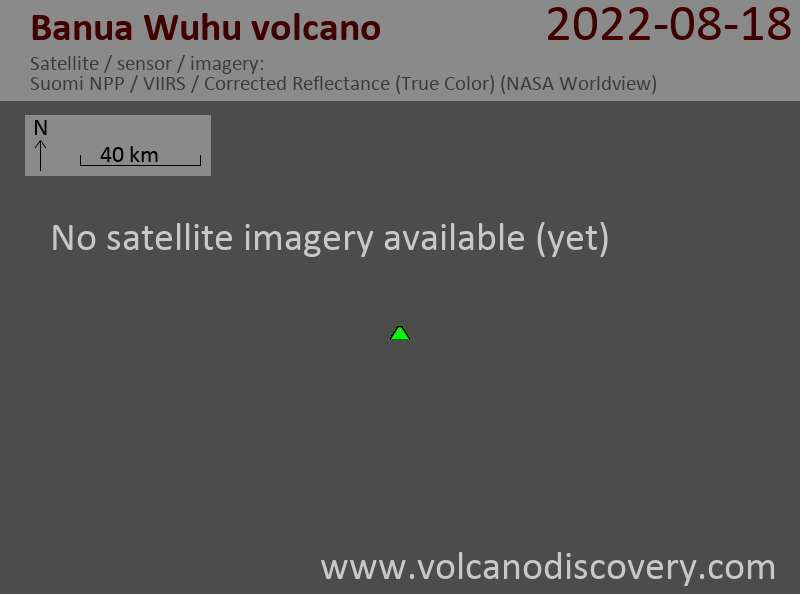 Separate vents are found to the northeast (Kahakitang) and north (Kalama) of Banua Wuhu. Several ephemeral islands were constructed during the 19th and 20th centuries. An island 90 m high was built in 1835, but had been eroded down to only a few rocks by 1848, and disappeared shortly after. Another new island formed in 1889 and reached a height of 50 m in 1894. 5 new craters were formed during an eruption that built a new island in 1904. Another new island that formed in 1919 had disappeared by 1935. A magnitude 7.2 earthquake occurred 130 km NE of the volcano at a depth of 20 km on 12 February 2009. A small submarine eruption occurred on 5 or 6 September 1968. Water became hot and turbid above the volcano, but no island was formed. The eruption was preceded by an earthquake on the same day (5 Sep).